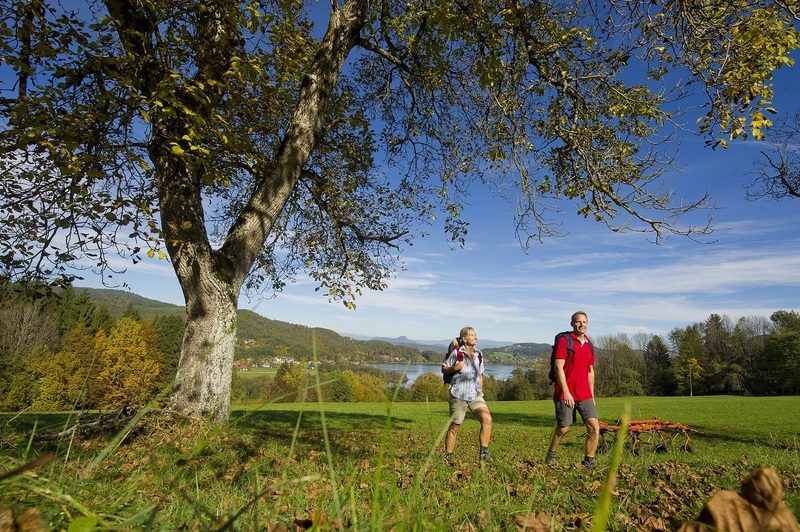 If you like hiking and want to enjoy the beauties of nature while doing so, Carinthia is the perfect place for you. 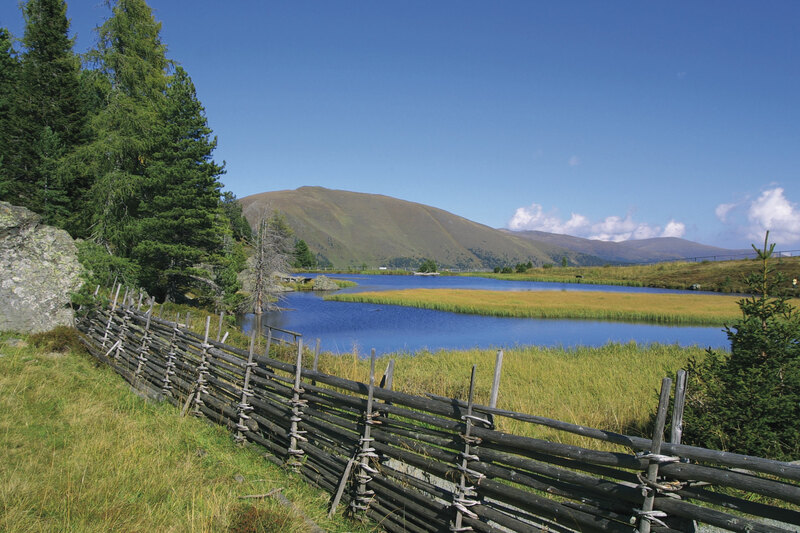 The landscapes you can see while taking walks are incredibly multifaceted and breathtakingly beautiful. 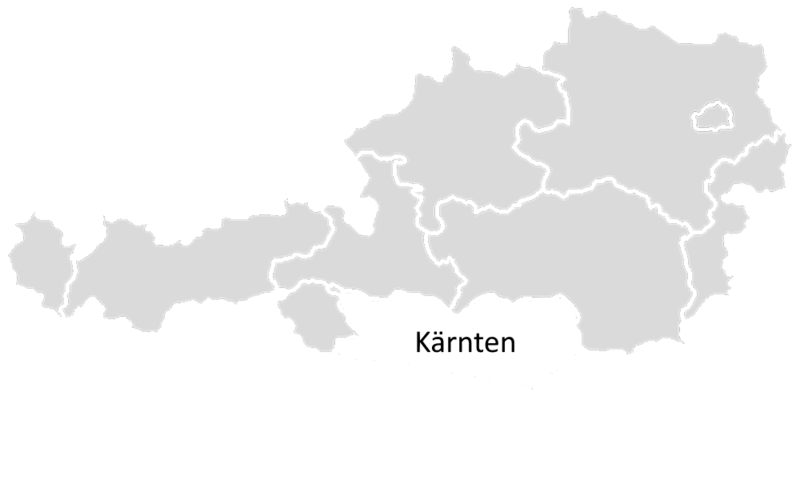 There are 35 mountain peaks in Carinthia that reach beyond 3000 metres above sea level, the highest one being Großglockner with 3.798 metres above sea level, which is the highest mountain located in Austria. Mountaineers and hikers are fascinated by the untouched nature of our national parks and nature parks, stretching from the perpetual ice of the high mountains to the alpine meadows of the low mountain ranges and gentle plains. 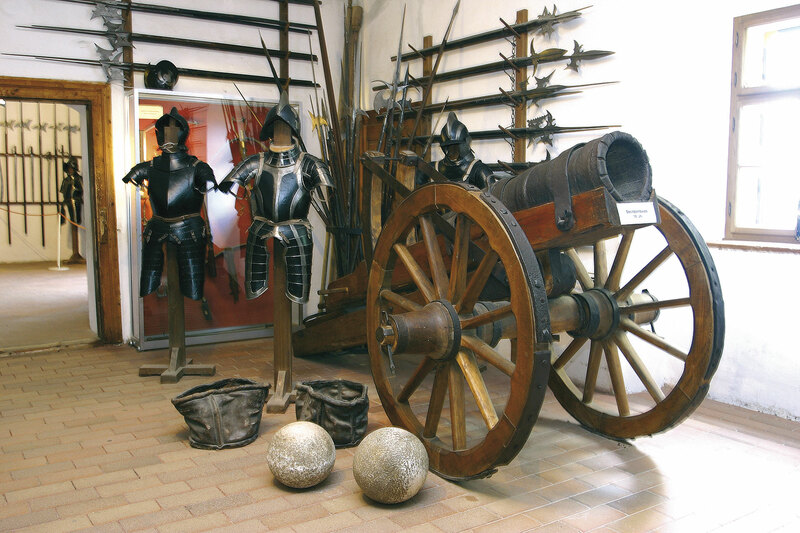 Everyone who already knows Carinthians at least a little bit knows that we always enjoy eating out or go for a drink. By no means do we want to miss out on delightful meals. 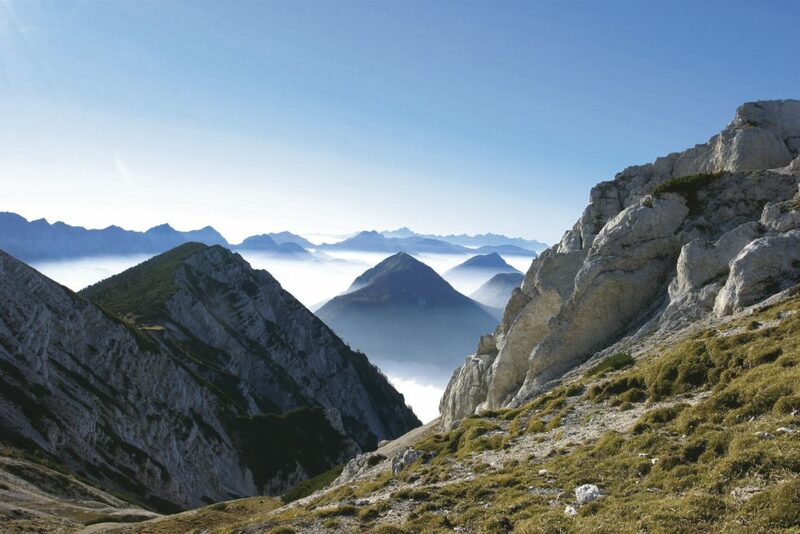 Therefore we came up with something special: themed hiking tours. 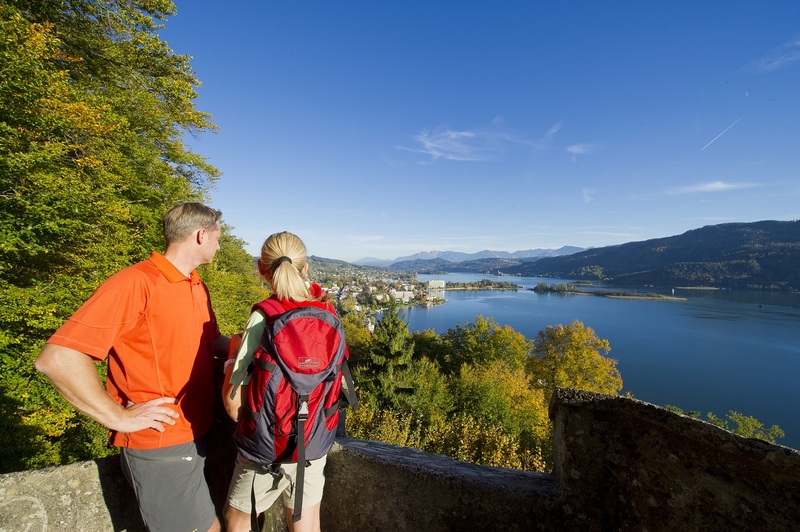 One of them is the so-called “Mostwanderweg” at Lake Wörth or in Lavanttal. 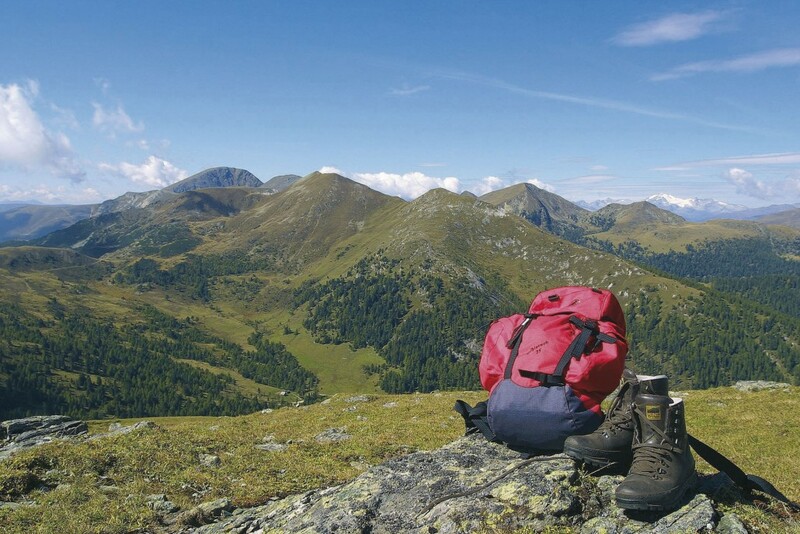 Those themed hiking tours will definitely make the hiking easier. 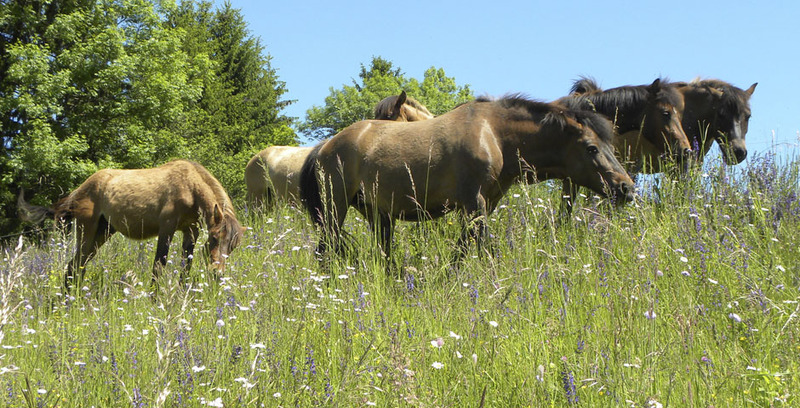 In the national park Nockberge an almost forgotten medical plant, the valerian spikenard, is going through a renaissance. 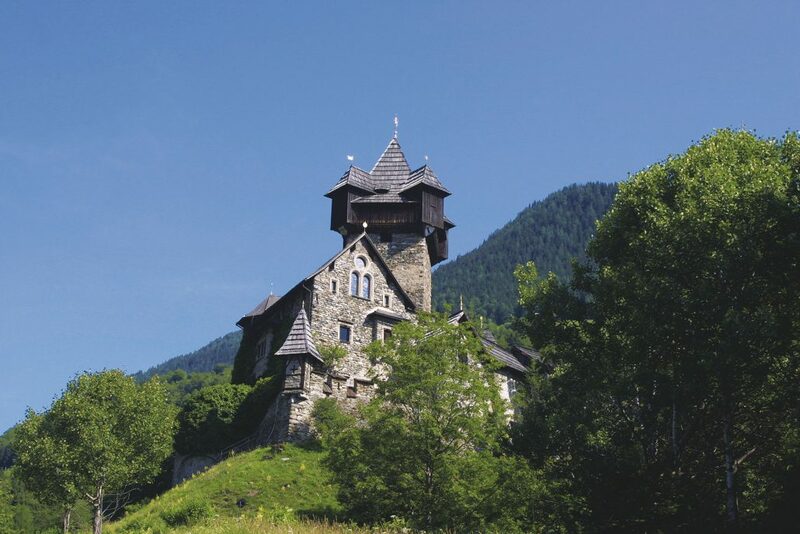 On paths around St. Oswald one can enjoy the infatuating scent of this plant and one can relax during footbaths with the oil of the mentioned plant in romantic alpine huts. With our partner, the canyoning school Cascata, we offer breathtaking and exciting canyoning adventures in the Slovene gorge “Mlinarica”. 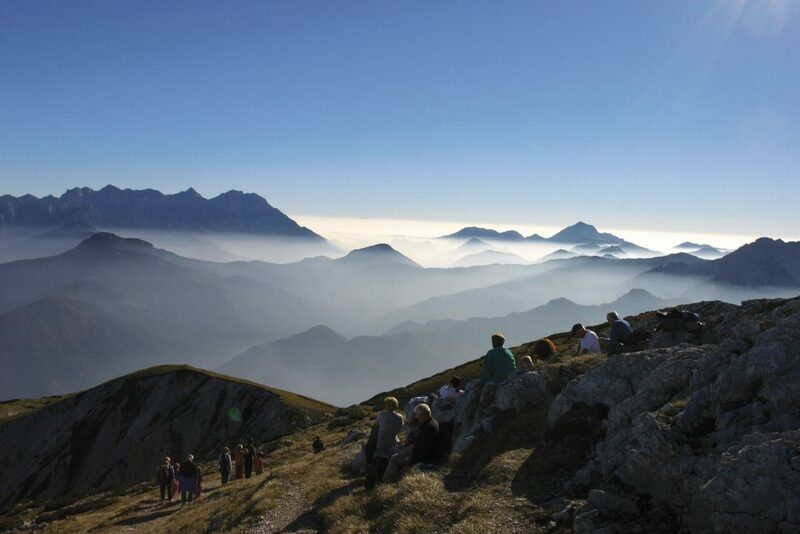 The gorge is located in the national park Triglav and is an important natural monument of our neighbours. Wild and overhanging walls, bizarre rock structures, gushing and foaming waters create an overwhelming natural spectacle. 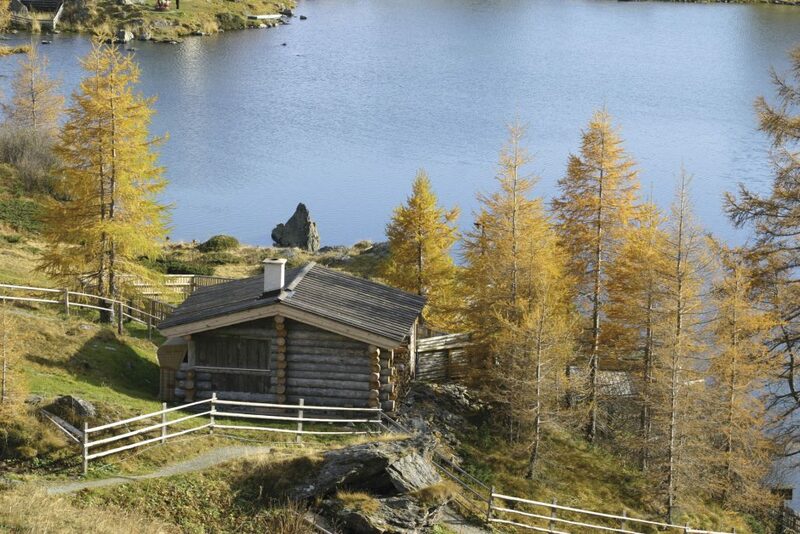 Immerse yourself in this wonderful natural scenery. 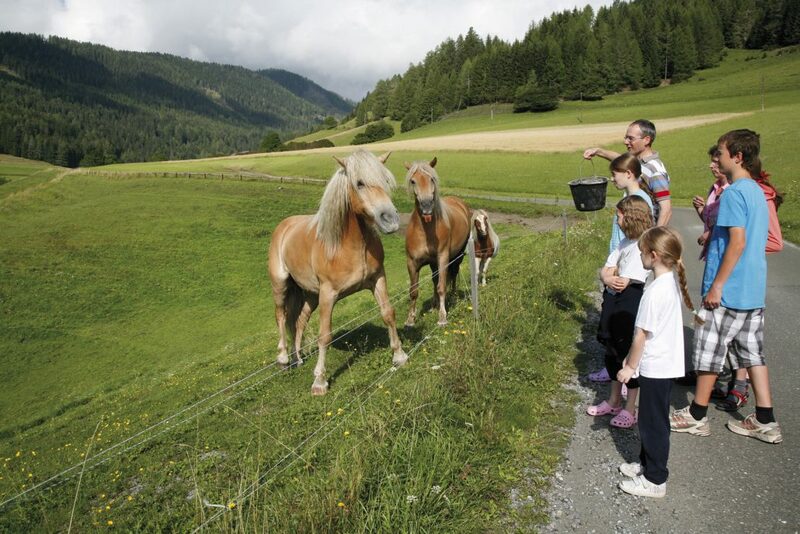 Carinthia is a paradise for horse riding. You will find 1.500 kilometres of riding trails in Carinthia, which will make you want to go on extended horse rides. 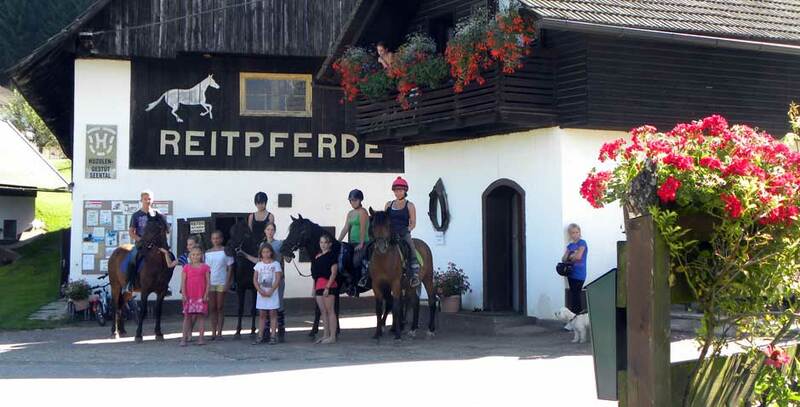 Only 500 metres next to the FKK-Camping Müllerhof you can find the horse ranch Safron, with several trained horses, as well as numerous Hucul horses. 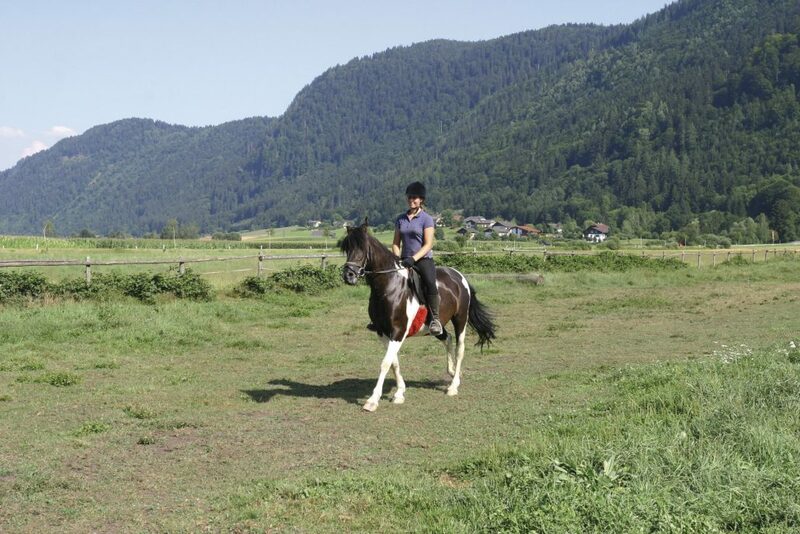 Whether you simply feel like horse riding on your holiday or you want to gain your first riding experience, you found the right place. 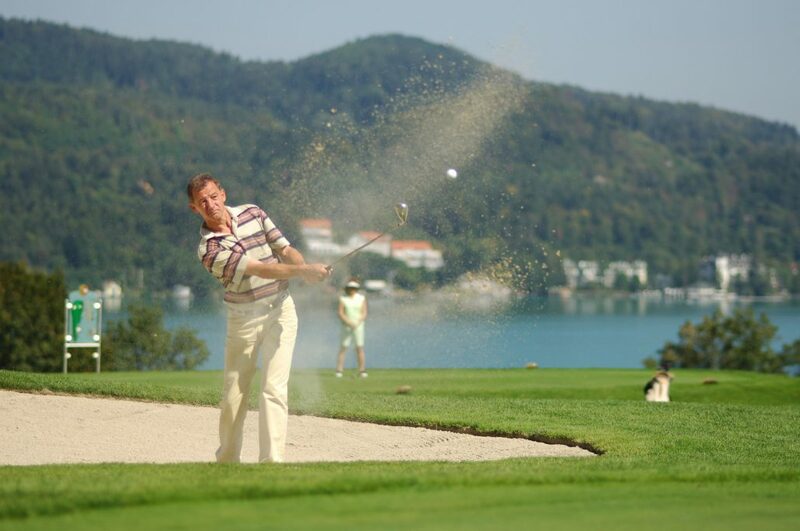 It would be perfect to combine your camping holiday with golfing, because you can calmly use 21 of the most beautiful golf courses here in the Alps-Adriatic region. The golf club Kärntner Golf Club Dellach, for example, is only 11 kilometres away and will celebrate its 90th anniversary this year. 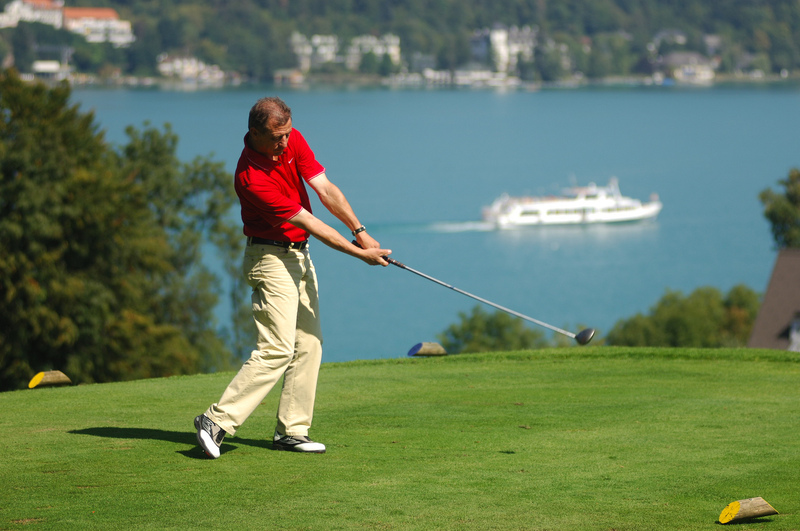 The 18-hole golf course is situated directly at the south shore of Lake Wörth and is one of the most challenging ones in Austria. 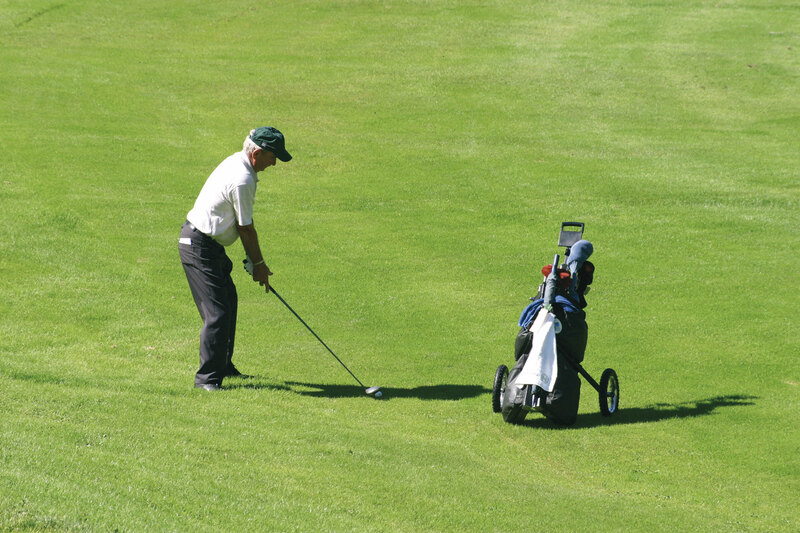 You can spend some beautiful hours of sunshine on the picturesque fairways and greens. 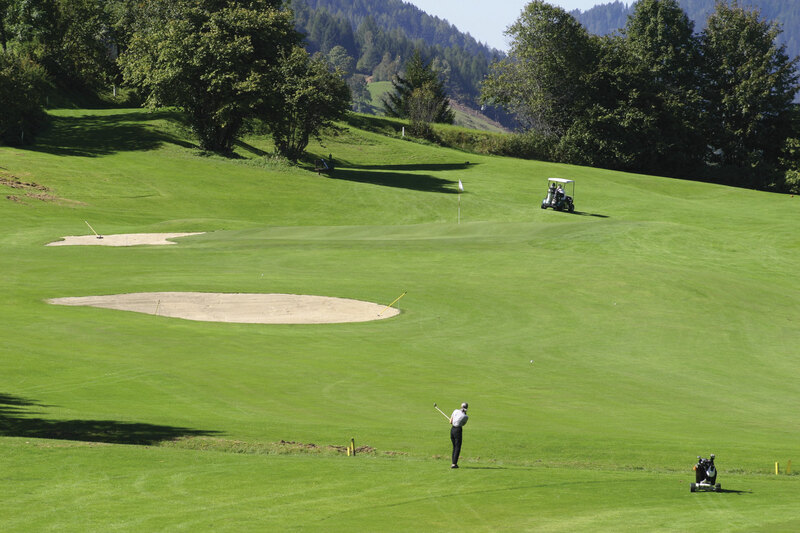 “Golfland Kärnten”: Check out the 21 most beautiful golf clubs in Carinthia, Slovenia and Friuli-Venezia Giulia. 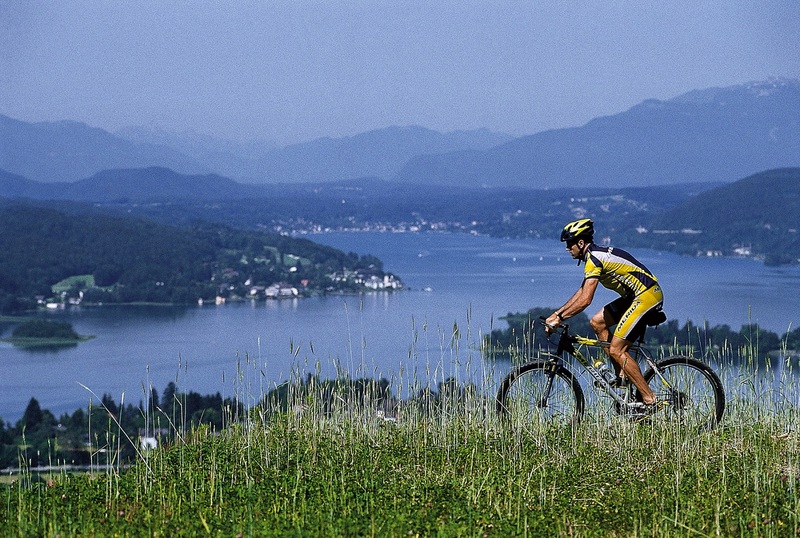 You will be able to cross mountains and valleys, with a view on sparkling waters, bike over hill and dale, through the forest and meadows – Carinthia is the perfect place for hobby bikers, as well as racing cyclists. 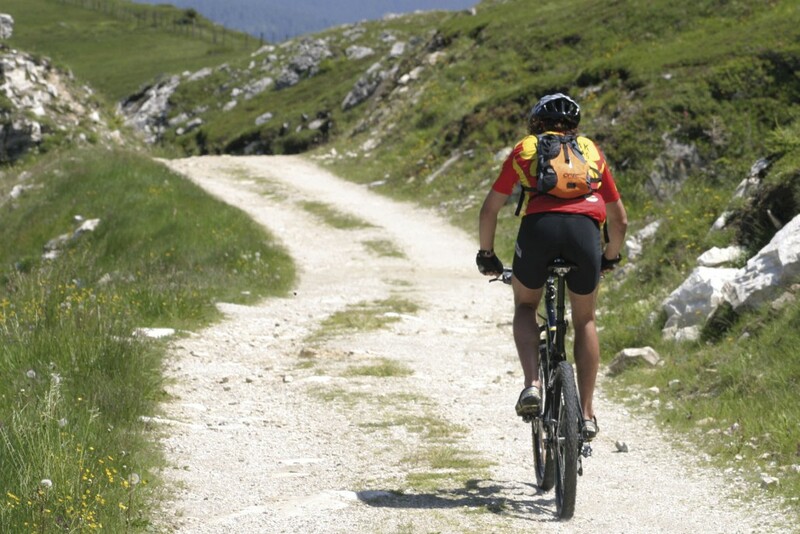 Go on bicycle tours and explore our beautiful country from your bicycle saddle. 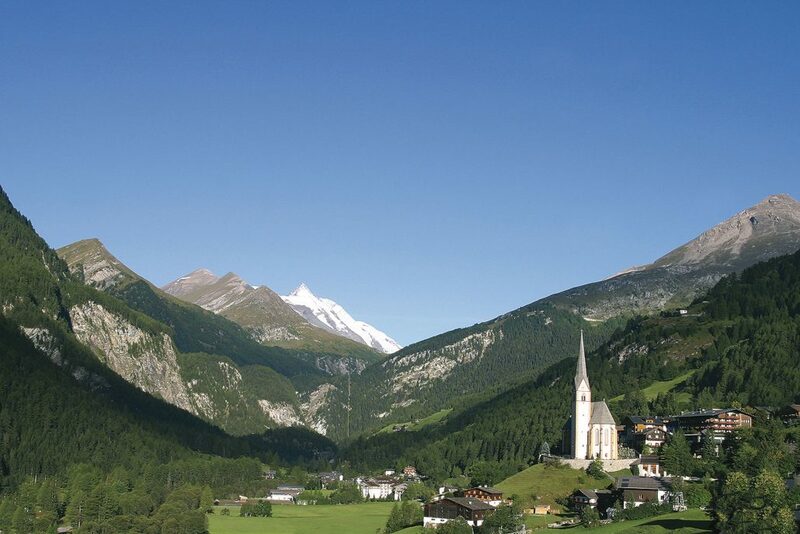 You can experience many attractive cycle tours, such as the 366 km long “Drauradweg” or the “Königsetappe” on the 48 km long street “Großglockner Hochalpenstraße”. 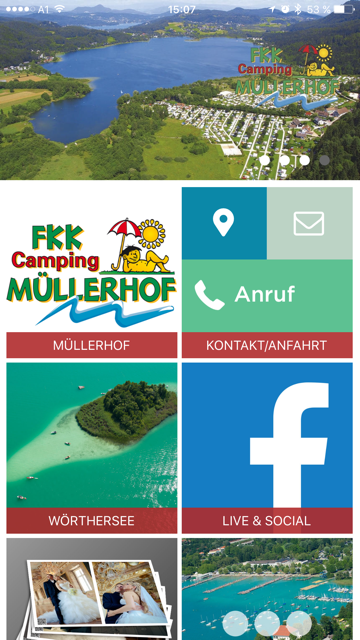 With the brand new Mülerhof-App you will have all the important information from our region directly on your smartphone. 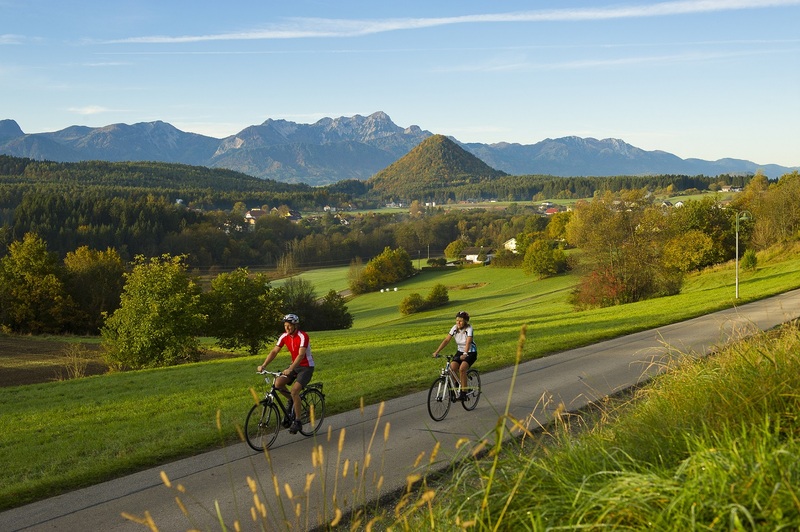 It is you personal concierge and provides you with a fast and comprehensive overview of tours, tourist attractions, leisure activities and much more. 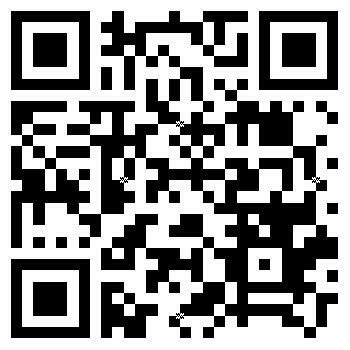 Simply download it, try it out and be astonished. 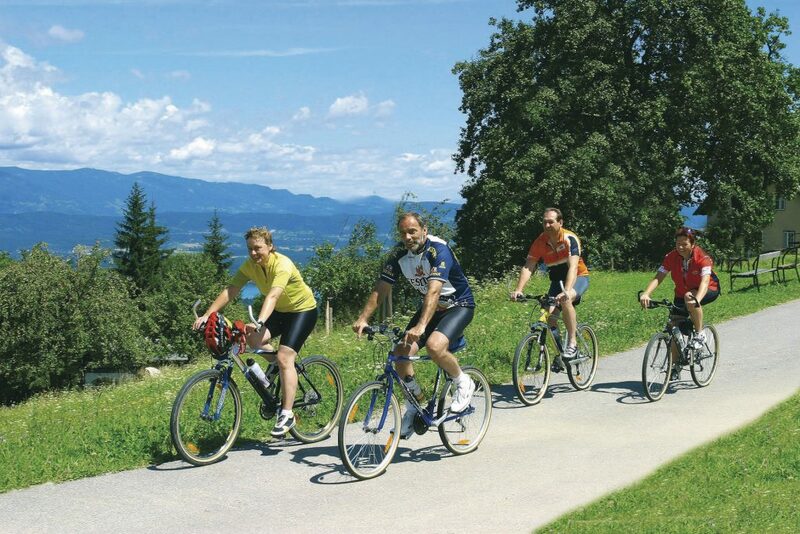 The moment you arrive at FKK-Camping Müllerhof, we already have a surprise for you. 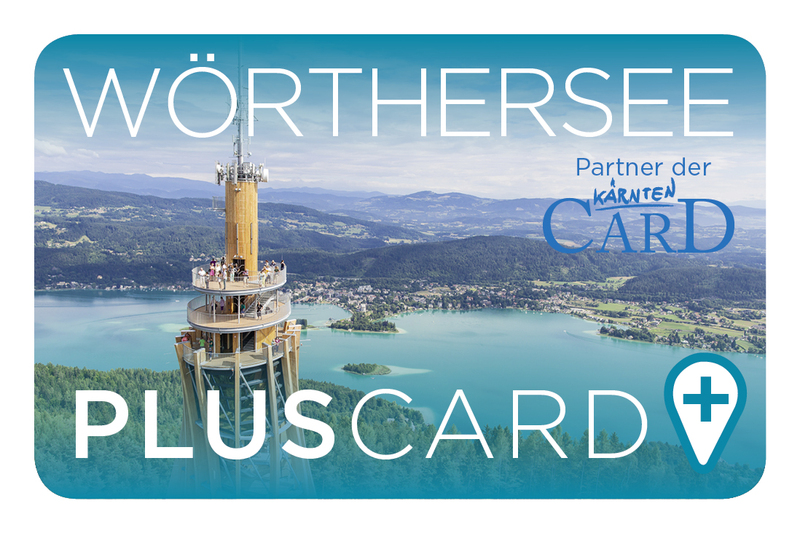 As soon as you check in you receive your free “Wörthersee PLUS Card”. 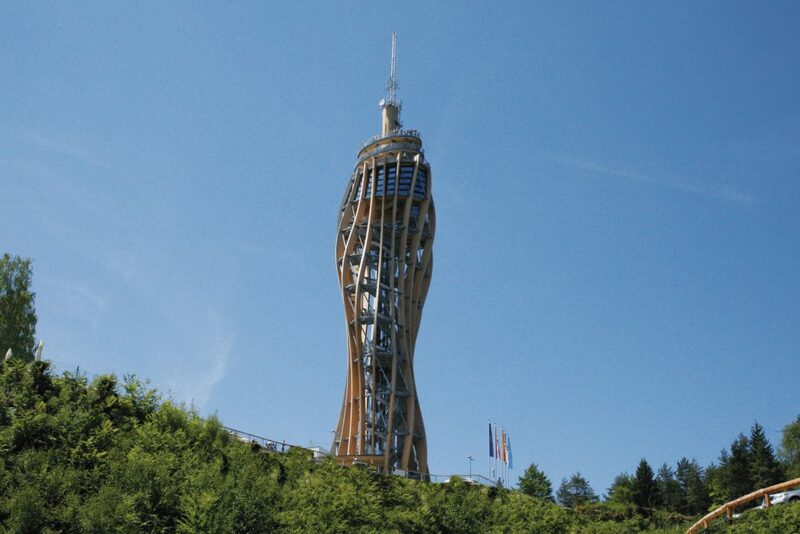 With this card you enjoy various discounts and advantages in our region. 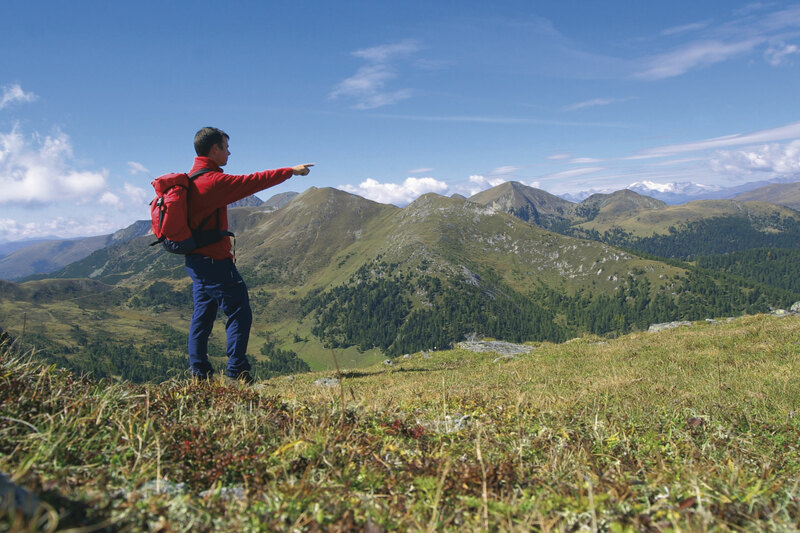 The “Kärnten Card” is your key to over 100 excursion destinations all over Carinthia. 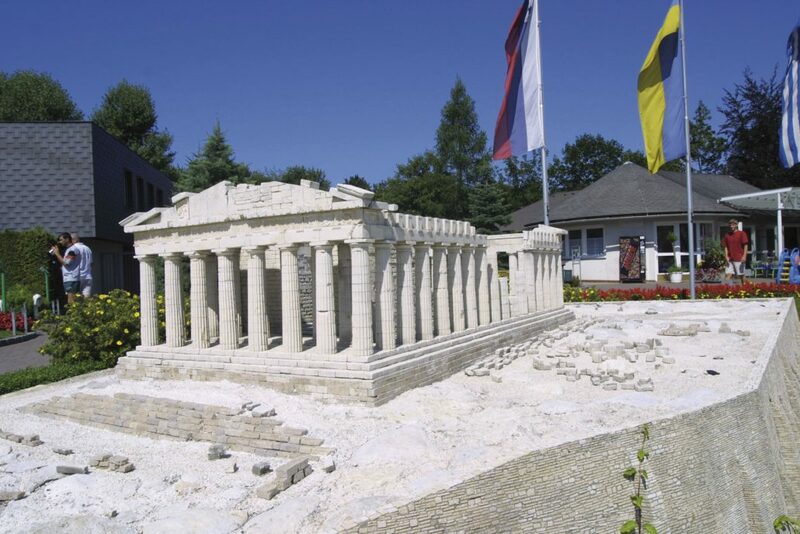 You will have the opportunity to go on boat trips on Carinthias lakes and the visit museums and towers. You can even go mountain trips with various cable cars. All that is inclusive. 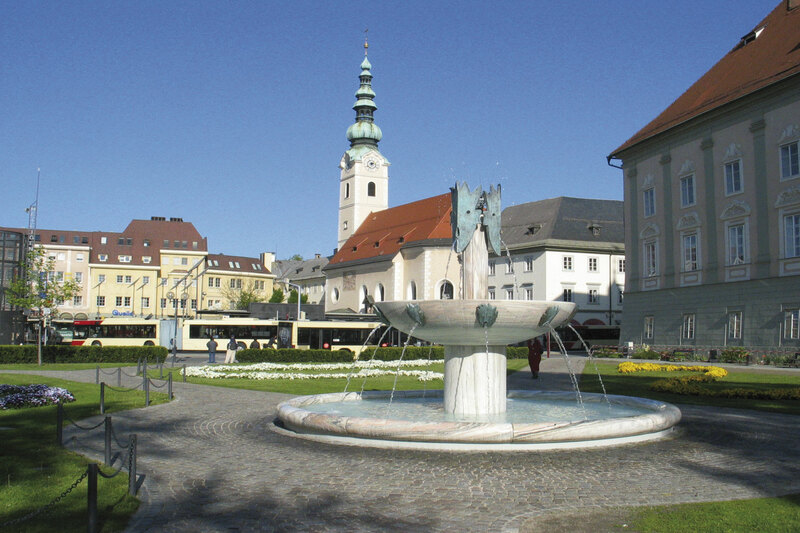 The FKK-Camping Müllerhof is only 20 minutes away from the capital city Klagenfurt. 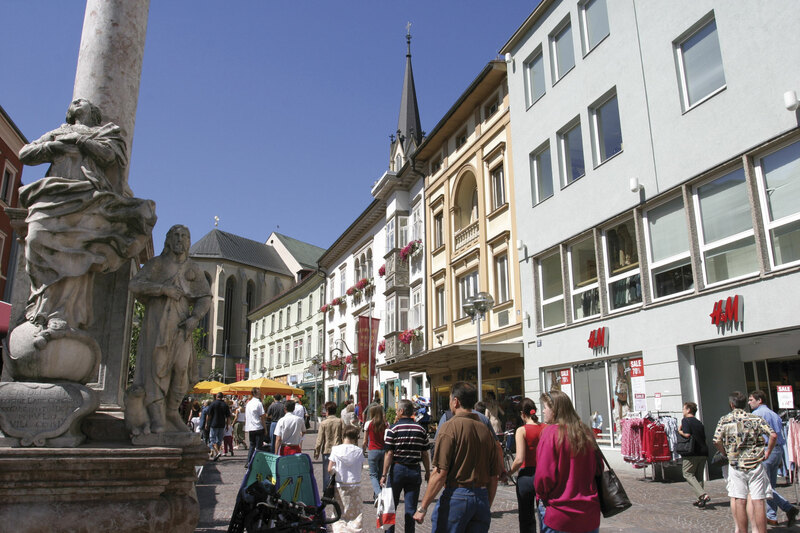 This small town is also known as “das Renaissancejuwel vom Wörthersee”, which translates as “the Renaissance Jewel of Lake Wörthersee”. 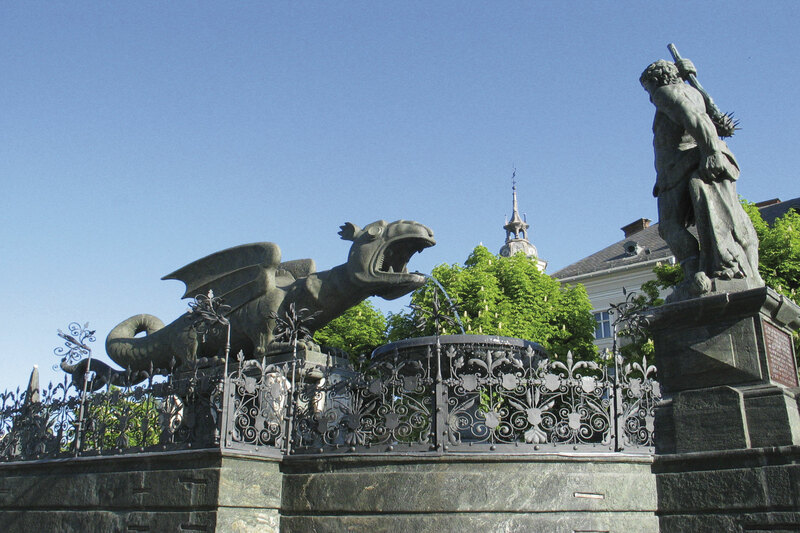 Picturesque courtyards and a dreamy old town invite to romantic walks around town and to go shopping around the “Lindwurm”. The Müllerhof is also not far from Villach, St. Veit and Spittal and der Drau.